Renowned for its year-round, cool, spring-like weather, Boquete sits in a mountain valley surrounded by verdant jungle. It’s an outdoor-lovers paradise, home to hiking, rafting, and exotic birds and butterflies. 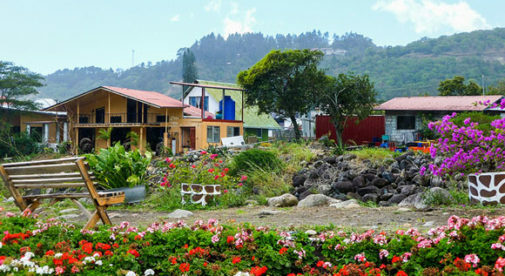 Boquete’s many charms have made it a popular expat haven over the years, and this has seen the growth of a large, active, and welcoming expat community. Thanks to this, Penny is never short of things to do here. It’s not just the expats that make Boquete great. The local Panamanian population is also very friendly and welcoming. And although it certainly helps, you don’t need to be fluent in Spanish to enjoy a comfortable life here. And although prices in Boquete have gone up in recent years, it’s still possible for expats to live affordably here. Couples in the town say you can live well on $2,500 a month. A single person like Penny can do it for a lot less. Boquete is an outdoor-lovers paradise, home to hiking, rafting, and exotic birds and butterflies. 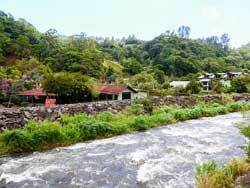 Boquete also benefits from its location close to Panama’s second city, David, which is just 40 minutes away by bus. And it’s home to excellent medical facilities. But for Penny, the biggest benefit of Boquete is the people. And it is the strong ties she has built up over the years that will see her living happily in Boquete for many years to come.